Arnaud Grégoire is an emerging artist from Montreal and has been working with MU since the summer of 2012. 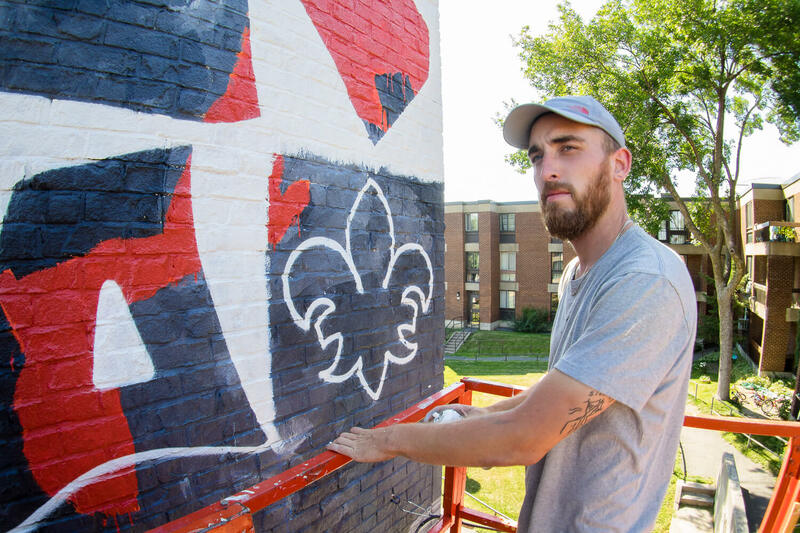 A graduate of the master’s degree in visual arts from UQAM, he divides his time between teaching arts and large format painting. His specialty is the work of the letter both literary and aesthetic. His research focuses on public space and the place of art in its citizen appropriation.